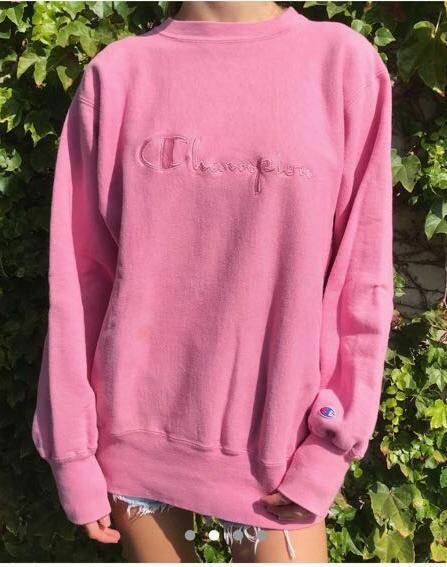 Vintage 90s blush pink crewneck oversized on a women’s medium. Few faint marks on front but not noticeable. (Normal with vintage items). Extra long sleeves with champion spellout and logo on sleeve.